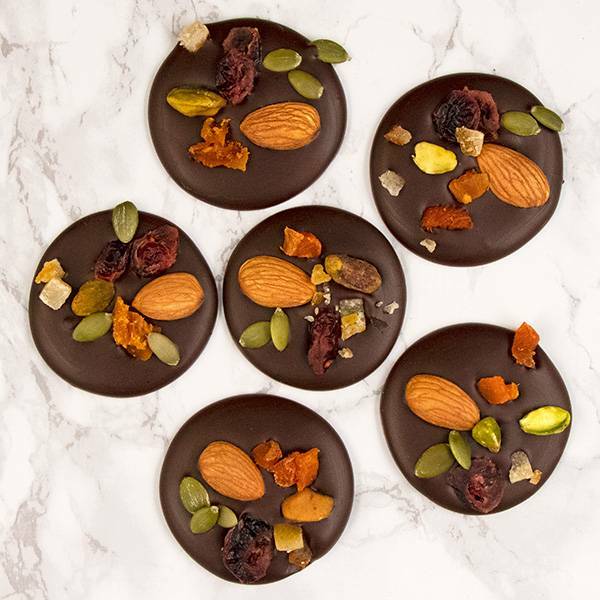 A disk of dark Belgian chocolate bursting with hand placed fruits and nuts. 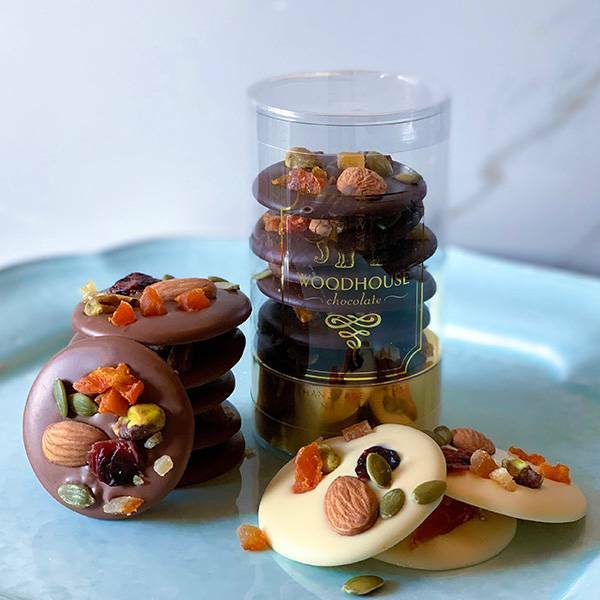 INGREDIENTS: UNSWEETENED CHOCOLATE, SUGAR, COCOA FAT, ALMONDS, PISTACHIOS, PUMPKIN SEEDS, ORANGE PEEL, CRANBERRIES, APRICOTS, RAISINS, SOY LECITHIN ADDED AS EMULSIFIER, NATURAL VANILLA FLAVOR, SULPHUR DIOXIDE (MAY CONTAIN PITS AND/OR FRAGMENTS). MAY CONTAIN: MILK.